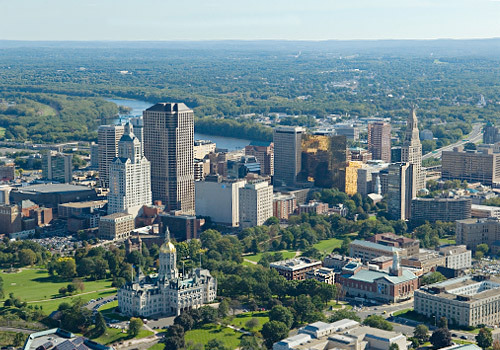 Hartford is Connecticut's state capital and a diverse city with 125,000 people within the city and a 1.2 million metro, where history, culture, architecture, business, education, and economic development combine to form a very livable place. The city is also home to a number of large corporations, such as Aetna, The Hartford Insurance Group, Phoenix, and St. Paul-Travelers, and United Technologies to name a few. Hartford has an active nightlife that offers something for everyone. The city also has a wide variety of nightclubs, concerts, and comedy shows. Concerts, clubs, and parties are numerous on any given night in the city. If you're interested in Hartford, please email your resum� with an introductory letter to to Dayna Lynn at dlynn@fsgltd.com or fill out the form below.